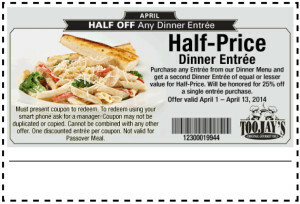 Here’s another TooJays Half Off Dinner Entree Coupon for the month of April. Valid for a Half-Price Dinner Entree. Purchase any entree from our dinner menu and get a second dinner entree of equal or lesser value for Half-Price. 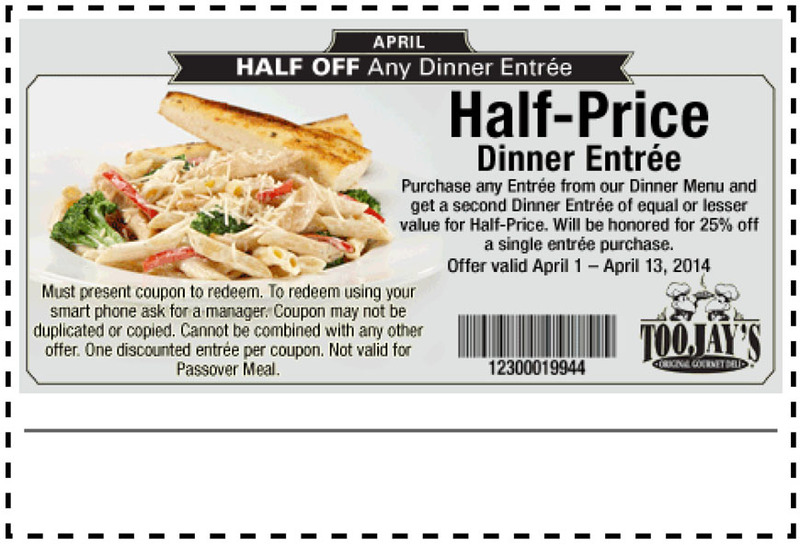 This Toojays coupon will be honored for 25% off a single entree purchase. Offer valid April 1st to April 13th 2014. So hurry now and get to TooJay’s Original Gourmet Deli today! The coupon must be printed out or downloaded on your smart phone to redeem. 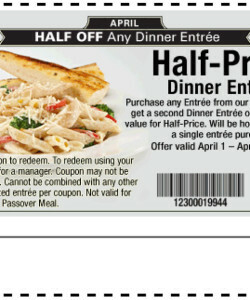 And not valid for Passover dinner either.